1.Easy and fast chassis mounting. 3.Low leakage current and high quality components ensure the safety and reliability of filters. EMI Filter ApplicationÂ :EMI power filter is widely used inÂ electric power system, power system, frequency conversion system, digital system, communication system, medical equipment, testing equipment, consumer electronics, etc..For example: LED lamps, Radio Station, Recreational Machines, Toilet, Coffee machine ,Â Fitness Equipment ,Â Printer ,Â Mining Machine, Music Instrument, Textile, Household Appliances, and so on. For general samples: delivered in 3Â work days. For customizing samples: delivered 5-7 days . For 1000pcs, shipped in 7Â work days after full payment. For bigger order, shipped according to sales contract. 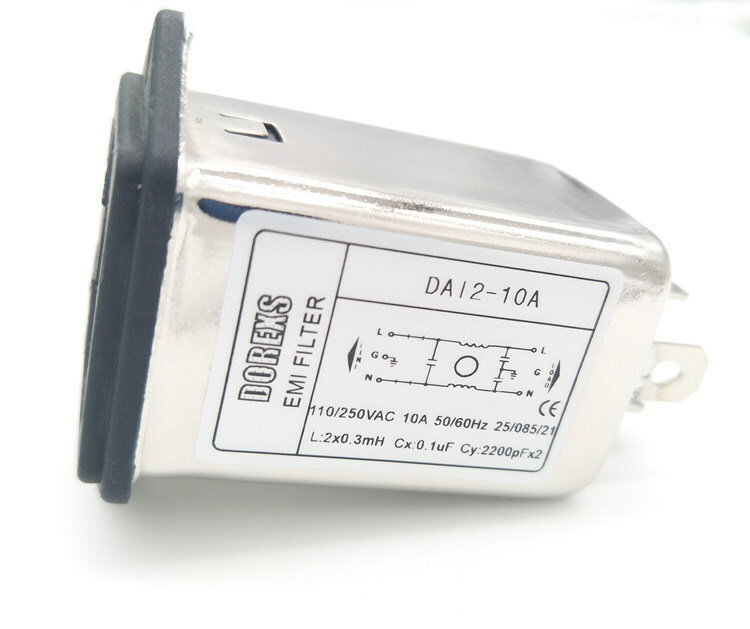 2.We have strong RÂ & DÂ capability and more than 10years manufacturer experience in EMI filter. 4.Advanced production equipments guarantee quick lead time: general samples 3days, customizing samples 5-7 days ,Â mass order about 1-2 weeks. 6. Our factory can supply you reasonable price with high quality products. 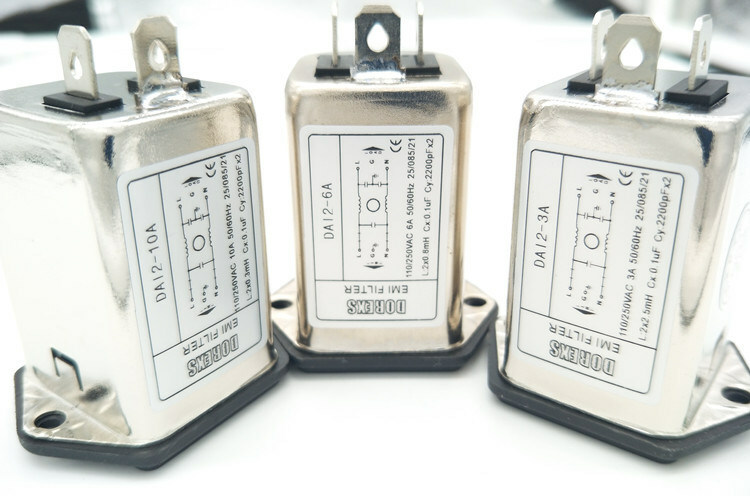 Â Â Â Â Â Â Â Chengdu MengshengÂ Â Electronic Co.,Ltd is one of the leading professional manufacturer in the electromagnetic compatibility (EMC) field ,Â producing varieties of EMI Filter. 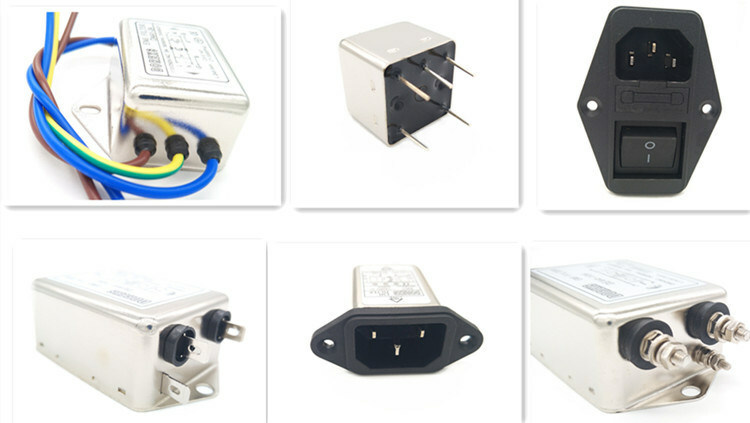 Â Â Â Â Â Â Â Main Products: EMI Filter ,Â EMC Filter, RFI Filter ,Â Power Line Filter ,Â Noise Fitter, Low Pass Filter, IEC Filter, PCB Mounting Filter, Switch Filter, Dual-Fuse Filter, Single/Three Phase AC Filter, etc.